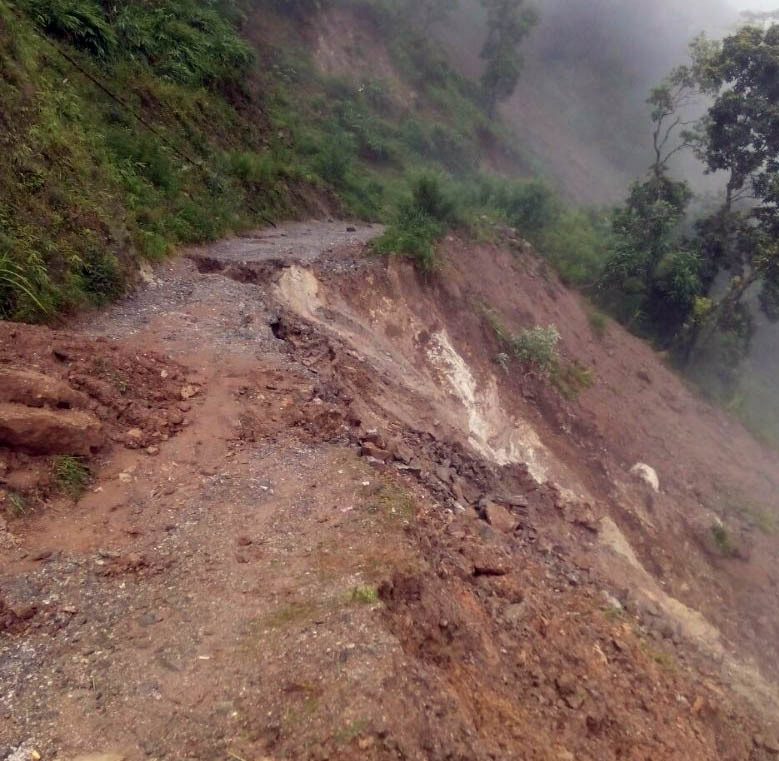 Nimbong, 71 kms by road from Kalimpong, is a sleepy little hamlet within Kalimpong sub-division is cut off by Landslide from Kalimpong. Nimbong Gram Panchayat - has a population of around 7000 and is no stranger to landslides. The Two year ago also Landslide at Zero point in between Nimbong and Borbot cut the area totally after which the GTA made a alternative road just above the landslide area which was washed away by the rain 12 days ago. The result now the people of Nimbong have no road route to Either Kalimpong nor Duars . The road acts as an alternative highway when National Highway 10 is closed. Duars Odlabari is about 30 kms from the Landslides zone. Due to Landslide the most affected are Farmers and Student. Farmers here grow Chilli and Cardamom where they take them to Sold at Odlabari market and Siliguri but now they have no alterantive to take their product which is incurring great cash loss to them. Meanwhile the Student who reached the school walking about a kilometer now have to walk 3-4 kms to reach the school via alternate route.The farmer and Student of Geshok, Ghanti Dara, Dalapchand, Saldara are most affected. Uday Baraily a local said the landslide has created massive problem to us. Not only had this have the regular slide created danger for four houses beneath the road. One of the houses has obtained cracks after which the panchayat authority have shifted the family. He said if no further measure is taken to curb landslide many the area will fall in danger. He demanded an alternative road to build. Meanwhile when asked to BDO Kalimpong Bimalendu Das about the situation he informed that the road has been closed from last 12 days. Massive landslide have triggered in the Zero point. He said that he have informed about the situation to concerned authority. 0 Respones to "Nimbong has no road to reach Kalimpong & Odlabari"